Winter -- when you can stay indoors without feeling guilty, and cozy up with a cup of hot chocolate. But, what's not so great about winter? How about dry skin, and with it, more pimples. Here's why your skin breaks out more in winter. Acne worsens in the winter because of cold, dry air. More specifically, the cold, dry air found outside has a lot less moisture than warm or hot air found in the spring, fall, and winter, which dries out your skin. 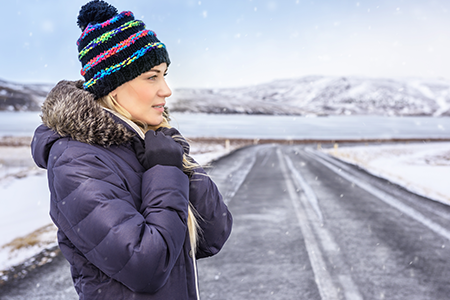 What's more, harsh, chilly winter winds end up stripping your skin of its natural oils that act as barriers to hold in moisture and keep out dirt and bacteria. With those natural oils gone, it's easier for bacteria to wreak havoc on your skin, resulting in tons of zits. Let's face it -- hot showers during the winter feel super amazing. But hot water is damaging to your skin, and it's only making your acne worse. Super-hot temperatures strip your skin of its oils, fats, and proteins, leading to inflammation, itching, and peeling. Use lukewarm temperatures in the shower instead to preserve your skin's natural lipid barrier. What else can you do to combat winter acne? Stop touching your face. Think about it -- your hands come into contact with a ton of germs throughout the day, and all that bacteria can easily transfer onto your face. This only results in more zits. You're also probably applying tons of hand cream, which is super greasy. And all those ingredients found in hand cream are not suitable for acne-prone skin. Moisturize more. Because winter weather is so harsh on skin, it's essential to moisturize more. This means adding more products to your skincare regimen. Apply layers of products to protect multiple skin barriers. 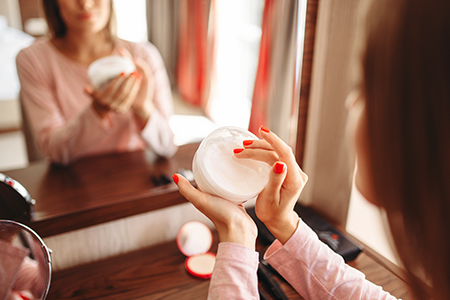 Look for skincare products containing humectants, such as glycerin, hyaluronic acid, allantoin, and sodium PCA. Use the right skin of acne products. 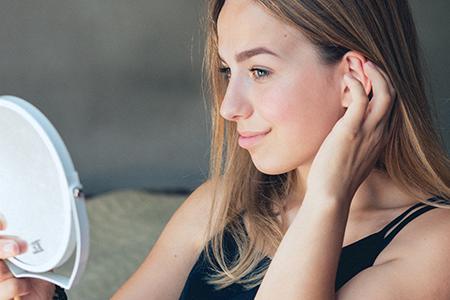 You don't have to exclusively use drying agents like alcohol and benzoyl peroxide on acne. Acne needs hydration, too, with serums and moisturizers. You should incorporate a hydrating serum with hyaluronic acid into your beauty regimen to keep skin from drying out. You should also use skincare products containing salicylic acid, which are great at calming acne without overdrying. While winter makes it more difficult to treat acne, you can reduce the number and severity of breakouts. Just make sure to avoid hot showers, moisturize more often, and use the right kind of acne skincare products. Don't let winter get your skin down. "Here's Why Your Acne is Even Worse in the Winter," Women's Health, December 14, 2015. "Why Your Breakouts Seem to Get Worse in the Winter," Allure, December 20, 2018.